Kim Keegan is the President and CEO of the Ashton Hope Keegan Foundation. Kim spent 15 years as a Vocational Rehabilitation Counselor along with 25 years as a Personal Trainer. But her favorite ”job” was being Ashton’s mom. Kim was very active in board positions related to the military while Ed served in the Air Force for 25 years. Along with the busy schedule of the Ashton Hope Keegan Foundation Kim finds time to serve on the Friends of Oconee County Animal Shelter board and is a volunteer at the animal shelter. Kim is also very active with the Rotary Club and is now President Elect of North Oconee Rotary Club. Kim is, and always will be, Ashton's Mom. She and Ashton did everything together, from starting an animal Foster program for the county animal shelter, to providing time and resources to educational charities, to starting and running a cake baking business. Ashton's passion for helping those in need was infectious, and Ashton's passion is now Kim's passion. Ed Keegan is the Treasurer, and a member of the Board since the inception of the Foundation. Ed is, and always will be, Ashton's Dad. Ed earned his B.S. Degree in Computer Science, an MBA, and an MS degree. He served 25 years in the US Air Force, retiring as a Colonel. Since then, he has worked for several Global IT companies as a Cybersecurity expert. 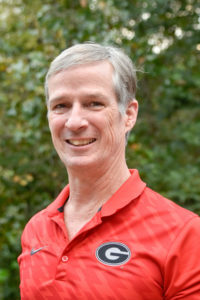 He is an active member of the Rotary Club of Athens, and has recently started advising on the Athens Technical College Computer Information Systems Advisory Committee. 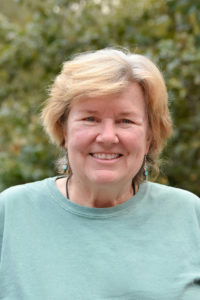 Virginia “Ginny” Hamilton works at the University of Georgia with Auxiliary Services and is the Business Manager of the One Stop Shop, overseeing the services that connect you to campus from Dining Services to Transportation and Parking. She has a B.B.A. in Marketing from Augusta State University and a M.B.A. in Management from Brenau University. She is also a member of The Order of the Eastern Star, a Masonic appendant body open to both men and women. She was a caregiver of her mother, a quadriplegic, for 35 years. This has given her a lot of insight into family struggles and needs, which in turn created a passion for helping others. Wendy Jackson brings plenty of experience to AHKF. She has served on the Board of Directors for Lowcounty Lab Rescue and on the Event Committee for The Charleston Dog Show prior to moving to Athens in 2014. In both roles, she helped plan fundraisers, meet and greets, and signature events to raise money and awareness for each. Locally she has volunteered for 3 years at the Oconee County Animal Shelter as a photographer and helped managed the social media account. She helped plan one of their successful fundraisers-PetFest during her time with the shelter. Outside of her Board repsonsibilities Wendy is a local photographer, freelance marketer, writer and a licensed Realtor. She resides in Watkinsville with her husband, two boys and two dogs. Terri Davis has been a Member of the Board since the inception of the Foundation. 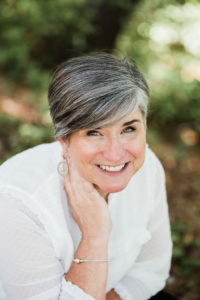 Terri has served on the Board of Directors for The Jeanette Rankin Women's Scholarship Foundation, Samaritan Center for Counseling & Wellness, Community Connection of NE GA and The Ashton Hope Keegan Foundation. She is an active member of the community working with many non-profit organizations. 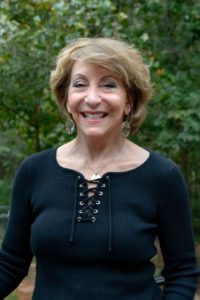 Her non-profit development, fund raising & volunteer coordinator experience spans several decades and includes organizations such as Habitat for Humanity, St. Jude’s Recovery Center, Athens & Atlanta Food Bank, Hands on Atlanta and Special Olympics. 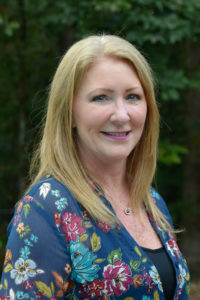 Terri is an Associate Broker with Keller Williams Realty - Greater Athens & has been working in Real Estate since 2000. She has practiced yoga and meditation for many years and likes to bring these calming, mindful practices into her personal & professional life. Terri & her husband Tom live in the Normaltown area of Athens. Martha “Tish” Rumsey became friends with Ashton and her family in 2014, through the animal adoption program they started. 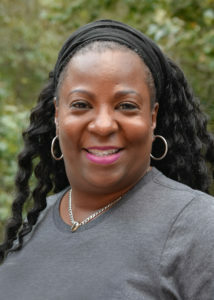 Originally from Savannah, Tish went to the Athens area for college; finishing her undergraduate degree in sociology, raising two sons, and later a graduate degree in social work. 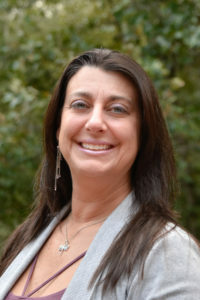 While working with troubled teenagers in therapeutic roles, she became involved in fostering mostly teenagers through the Department of Family and Children Services. She did this for around 18 years. Five years ago she joined the Oconee County Department of Family and Children Services Board. She sees the work that the Ashton Hope Keegan Foundation is doing as an extension of her lifelong interests in helping others who find themselves in difficult situations better themselves through education. Dr. Tina M. Harris is an Athens resident whose family hails from Griffin, Georgia. She is a Professor in the Department of Communication Studies at the University of Georgia, which is where she had the great fortune to meet Ashton Hope Keegan. They connected because of their mutual love and passion for racial social justice and empowering others through education. Towards that end, she uses her expertise in the area of interracial communication to make difference in the classroom and beyond. Her research explores the critical role of racial identities in shaping how people communicate across races and how they navigate difficult conversations about race and differences. In her spare time, she enjoys spending time with family, friends, and Delta Sigma Theta Sorority, Incorporated, as well as reading, writing, movies, jazz, and relaxing with her dog Bullitt.